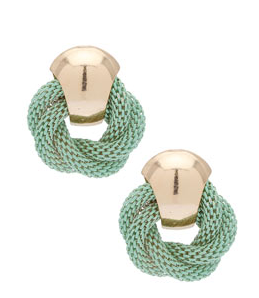 Really like the look of these mesh earrings from TopShop! And they're two trends in one - mesh and a pale, minty green! Buy for just $15.